EVBIKE Conversion Kits are prepackaged sets of components designed to fit on a normal bike and convert it into an Electric Bike. EVBIKE kit includes everything you need. 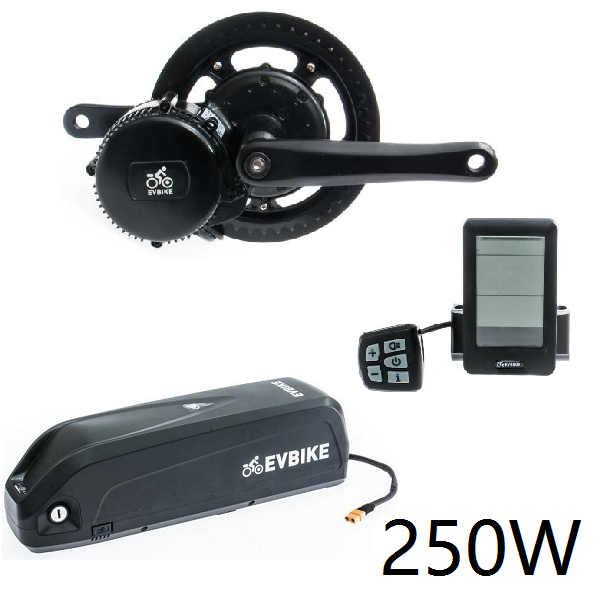 Complete set EVBIKE 36V/250W (BBS-01) motor for driving the central axis with a complete electric equipment. High-capacity 15,6Ah battery on the wheel frame, fast charger 5A and display C10 are included.